Find out which program is is the best choice to create a presentation on. What are the advantages of each service and which is more convenient to edit the presentation directly onto the Web or a desktop version? The templates used as default in some editors like PowerPoint are a little bit old fashioned. They do not meet the trends of modern design. 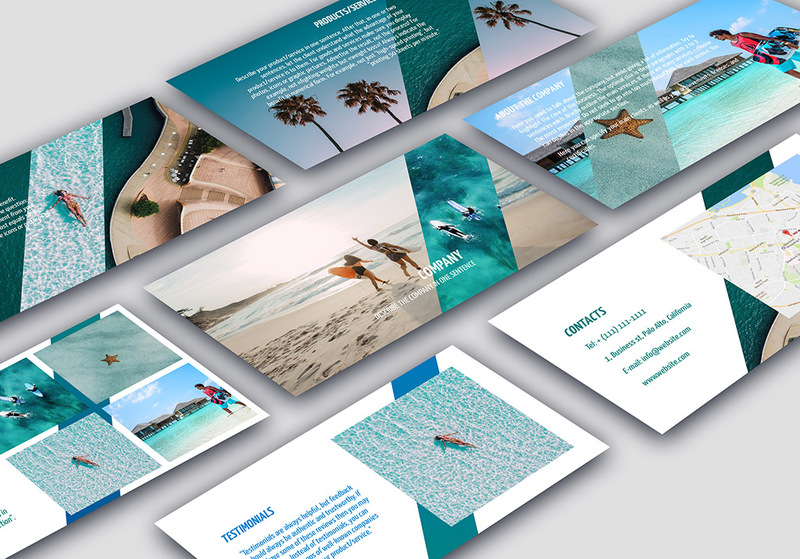 Wilda have tried to create for you some modern templates that will inspire you and help you to make a great presentation. A good design depends on good fonts. Using the default standard fonts installed on desktop applications, such as PowerPoint, are not enough to create a spectacular presentation. With Wilda, you do not need to search and download fonts to your computer. The Wilda online editor contains the most up-to-date fonts and provides you with recommendations on which is the best to select. Most presentation software provides a set of tools, but it does not teach you how to create beautiful and well structured presentation. You need to look for the information elsewhere, whereas with Wilda, you are able to find everything you need right here on our website. Moreover, we have integrated the instructions for creating presentations directly into the templates in order to make life much easier for you when you are putting your presentations together. When creating a design, there is a need for high-quality visual materials such as icons, images, photos and clipart. In the Wilda online editor library, you'll find everything you need to create a great presentation. With a service like Publishing, you can demonstrate your presentations online, using the effects and switching between slides with ease. In addition, thanks to Publishing, you can store your presentations in your Personal account and send your colleagues and friends links to them. This method is very convenient when you need to coordinate your project before the presentation, or just simply to share with all interested parties. Learn more about the benefits of Publishing. You can get started instantly without a long and drawn out process of downloading and installing the software on your computer. At the same time, the functionality of the online version is equal to the desktop, allowing you to realise your presentation in full. We have tried to make you an editor which is both simple and intuitive, as well as providing training videos to save you precious time. How well we have managed to do this is for you to judge, however we are always open to receiving feedback and catering our service to your needs.